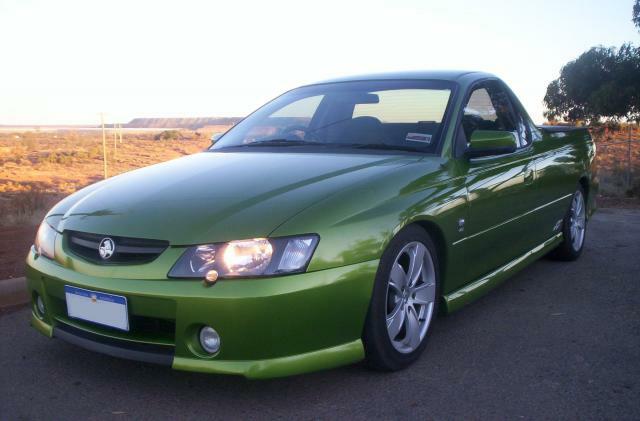 My car is a 2002, VY model Commodore SS Utility. It is fitted with a 5.7 litre, fuel injected, V8 motor and is backed my a six speed manual gearbox. With 78000km on the clock and a few modifications done already, the power seemed impressive and I was ready for a new adventure in owning a V8 as my every day car. I have owned a small V8 previously, 1978 Range Rover, but it was a totally different ball game to the ute. Imagine my surprise when I found out that the ute previously belonged to a mate from my home town. This is what she looked like when I first got her back home. The mods at that time were lowered suspension, Manta cat back exhaust and a K&N Air Charger Pod Air Filter setup. This entry was posted on Saturday, October 20th, 2007 at 10:12 am and is filed under The Ute.You can follow any responses to this entry through the RSS 2.0 feed. You can leave a response, or trackback from your own site.